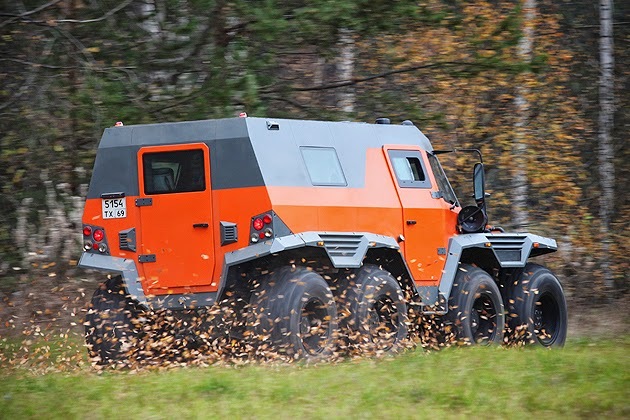 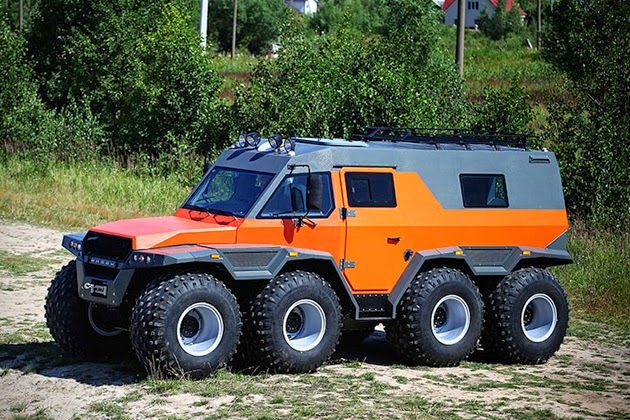 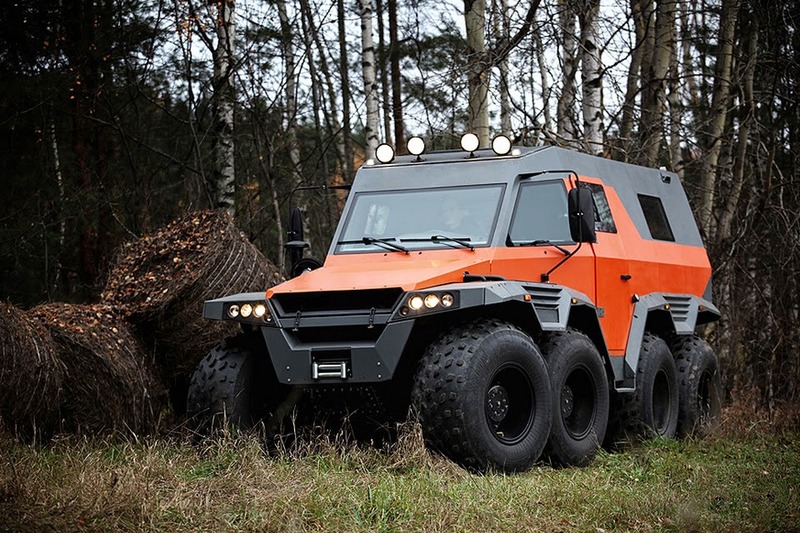 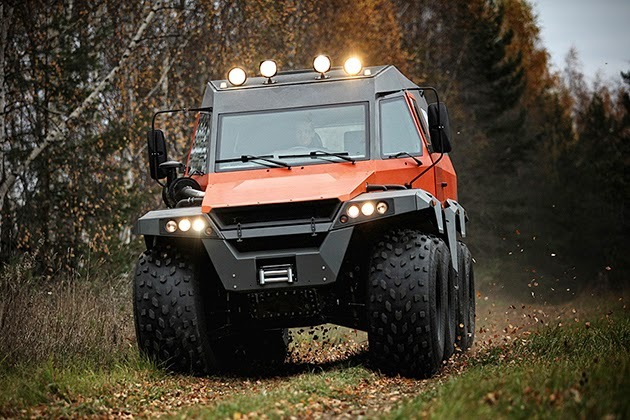 There’s all-terrain vehicles, and then there’s the Avtoros Shaman 8×8 all-terrain vehicle – the end all, be all for ATVs. 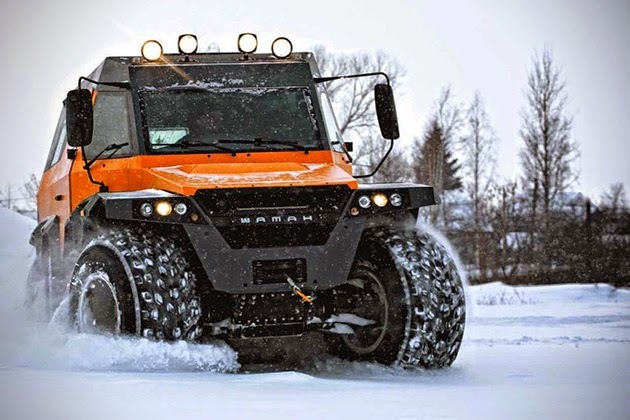 Measuring in at 6 meters long, 3 meters high, and 2.5 meters wide, this 2.5-ton beast can tackle literally any terrain, from land and snow right down to floating through water. 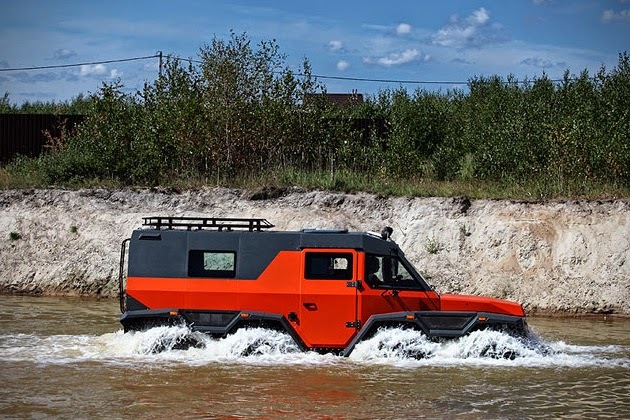 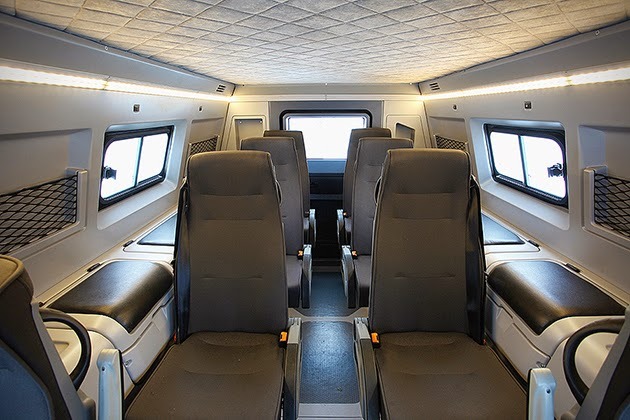 The vehicle is powered by an Iveco F1C 3.0-liter turbo diesel that pumps out 146-horsepower through a 6-speed manual gearbox, but it’s the steering system that makes this thing really unbeatable. 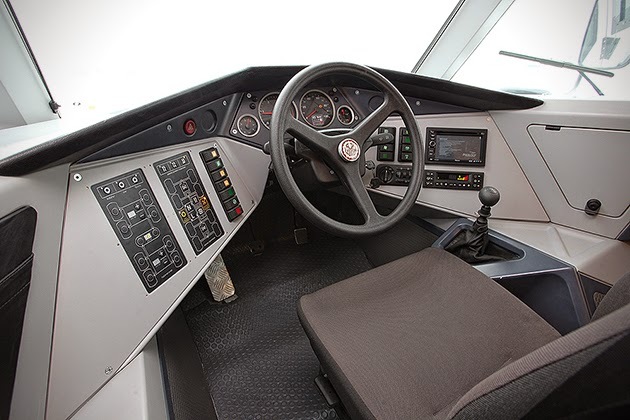 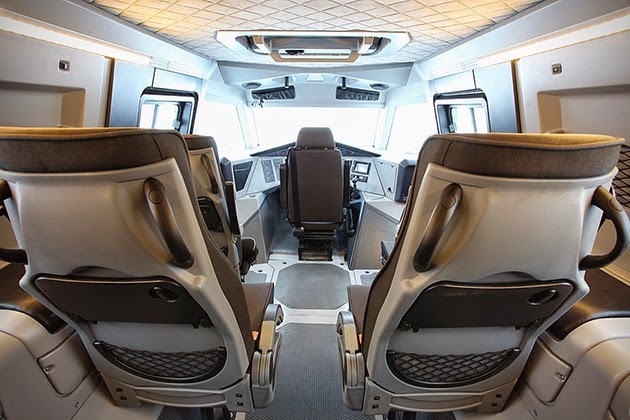 The 8-wheel drive Shaman has 3 different steering systems, allowing the driver (from the captain’s chair) the ability to switch between On-Road (front 4-wheel drive), Off-Road (active rear wheel steering), and Crab Mode (turns all 8 wheels in sync to move sideways). 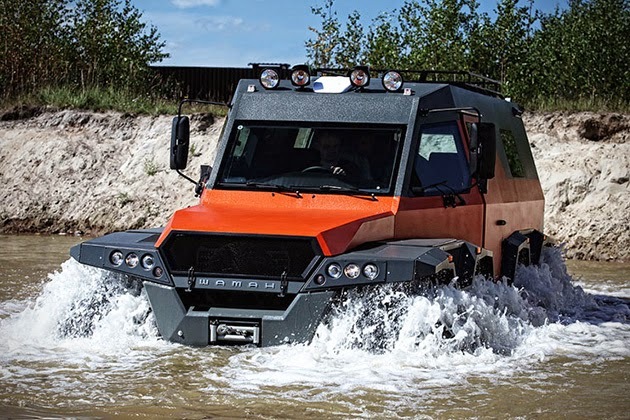 Each off-road monster can carry up to 1.5 tons of cargo, is capable of scaling 45-degree inclines, and according to those who have sat behind the wheel, is actually “pretty easy to drive.” The Shaman takes 2 months to manufacture, which means there are plenty of customization options (as if this thing wasn’t unique enough).